Little gets cruisers as hot under the collar as the thorny topic of cruise dress code. Whatever the rules suggested by the cruise line, someone is going to cause raised eyebrows. Stetsons in the dining room! Football shirts after 6pm! And my personal bugbear, from a rather sweaty cruise on an Italian line, men in Speedos jostling at the lunch buffet! Okay, it is hard to dictate what people wear by day (although I won’t be revisiting that buffet) as they are, after all, on holiday. It is the evenings that cause the problems. 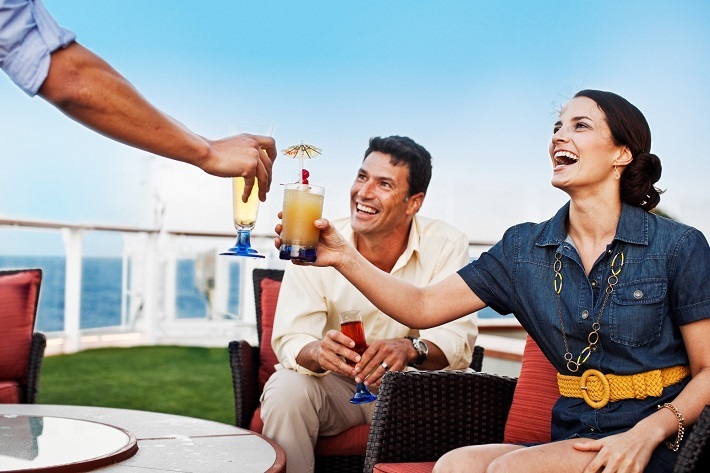 Every cruise line has its own dress code, often couched in old-fashioned language – ‘country club casual’, anyone? Or the confusing ‘formal optional’? What does that mean, formal or not formal? Cruisers, especially first timers, can be forgiven for experiencing dress code anxiety. Nobody wants to be the only person in a penguin suit on a very informal ‘formal’ night and, heaven forbid, mistaken for a waiter. But equally, nobody wants to do the walk of shame out of the dining room for failing to pack a tie. You shouldn’t worry. Essentially, there are three kinds of evening dress code and a cruise line will tell you before you leave how many formal nights or otherwise to expect. ‘Formal’ is the smartest and usually means tuxedo or dark suit for men and posh frocks and bling for women. ‘Informal’ or ‘semi-formal’ means smart cocktail dress or trousers for ladies and jacket and shirt for men. ‘Casual’ means no jacket required but still looking respectable; no shorts. Some of us positively love dressing up, of course. 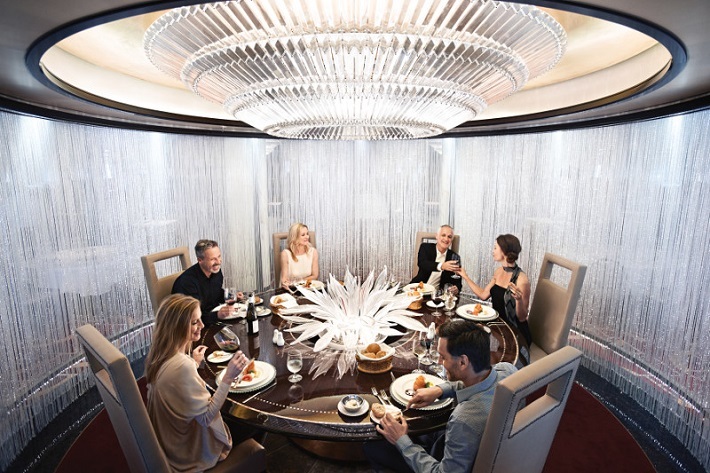 In which case, you can’t beat a voyage on a Cunard Queen, where everybody dresses to the nines, or a glittering night on Crystal, Holland America Line or Silversea, when people-watching is all part of the fun. 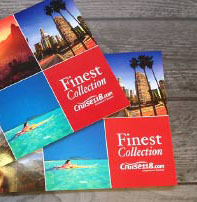 You will see a wider interpretation of ‘formal’ on mainstream lines like Royal Caribbean, Carnival, MSC and Princess. Funnily enough, it’s the kids who often rock the smartest gear, from teen girls in full prom queen outfits to little boys in mini-me tuxes, which is quite pleasing, in a way, as it suggests that future generations will keep cruising stylish. 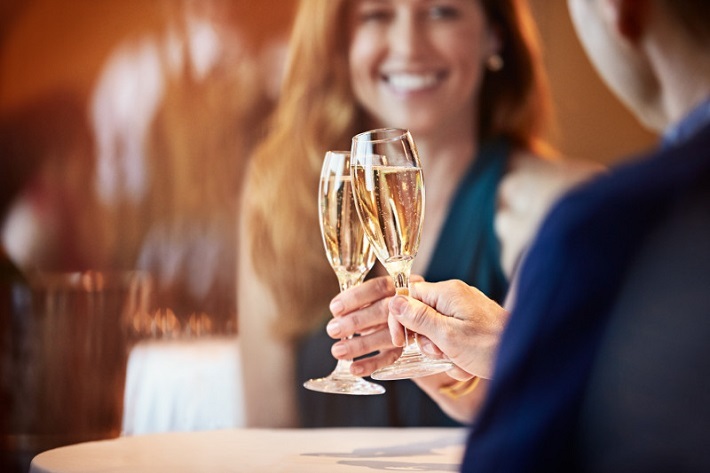 If you are of the opinion that on holiday, nobody should be made to wear a dinner jacket, Celebrity Cruises might be the answer, with a simple ‘evening chic’ dress code, or Oceania Cruises, Viking Ocean, Azamara Club Cruises or Star Clippers, all of which trust you to make an effort but don’t lay down laws. The ultimate in casual is NCL, where there are no posh nights, although people still make a bit of effort in the evenings, especially in the smarter restaurants. Ladies, you can’t go wrong with a little black dress, which can make at least two outings with different accessories. A coordinated wardrobe goes a long way. Palazzo pants are extremely elegant with heels and often come with an elasticated waist, which is always handy towards the end of a cruise if you have, er, dined well. Don’t take advance notice of theme nights too seriously unless you are really into fancy dress. I tend to avoid ‘pirate night’ or ‘seventies night’, although the White Nights deck parties on Azamara are quite stylish. In the event of a crisis, such as forgetting a bow tie, ships’ receptionists are often quite helpful in sourcing a spare – or the on-board shops usually sell formal accessories. Absolute worst case, you won’t starve, as the ship’s buffet is always casual, even on posh nights. And if you order room service, you can feast on filet mignon in your pyjamas.